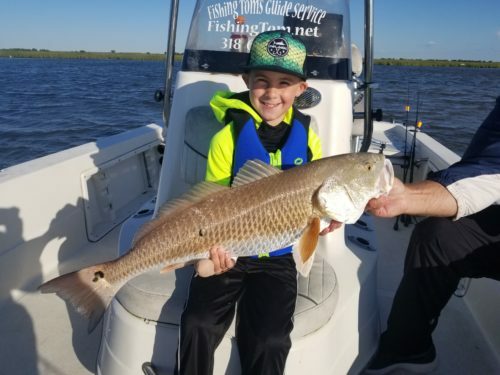 Fishing Tom's Guide Service offers the best and most professional Speckled Trout, Redfish, & Flounder saltwater fishing in Louisiana. 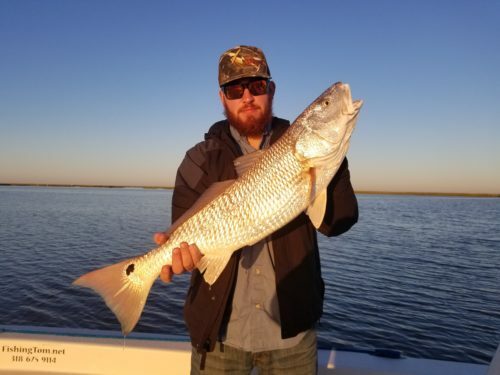 We want all of you to come down and enjoy the Saltwater fishing like it should be down here in Louisiana. 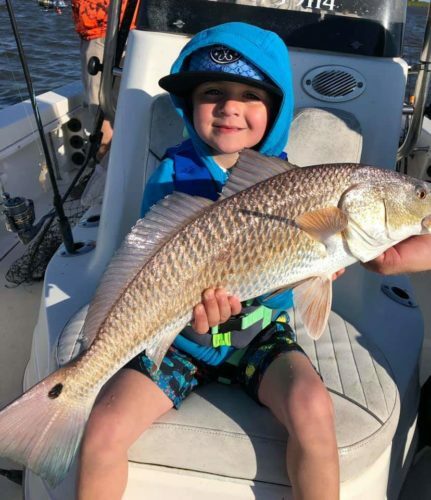 Our fishing trips take place in the Calcasieu Estuary, which includes the Calcasieu River, Lake Calcasieu, Black Lake and the Ship Channel to the Gulf of Mexico. 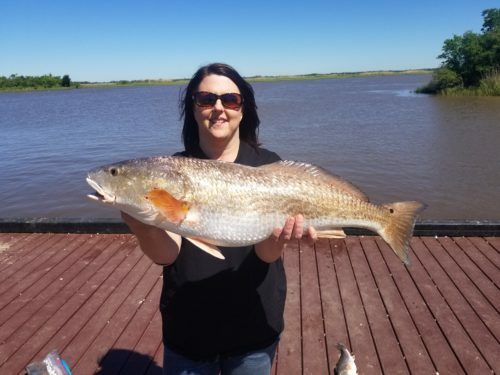 Get ready to Load the Boat and Book your Trip today! Check out this Video of Captain Tom in action. 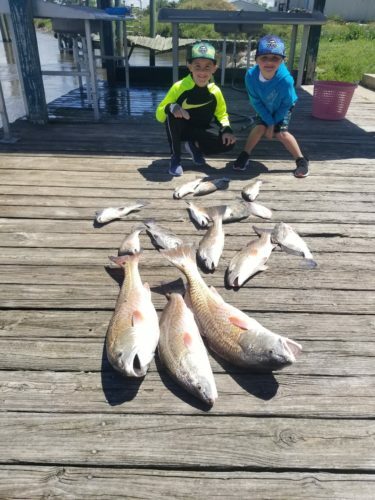 These boys went out and handled up on the Big Redfish. They fought them like men! The day started out slow with a couple trout and a Red. 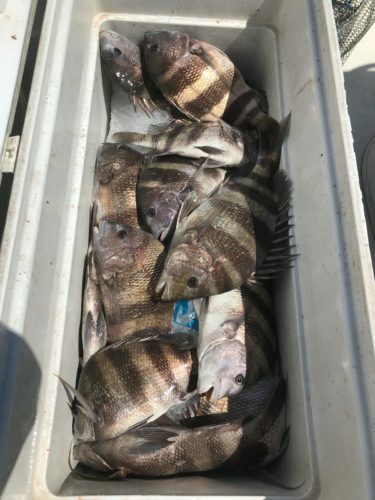 Then we found a big herd of Sheephead and the action picked up big time. 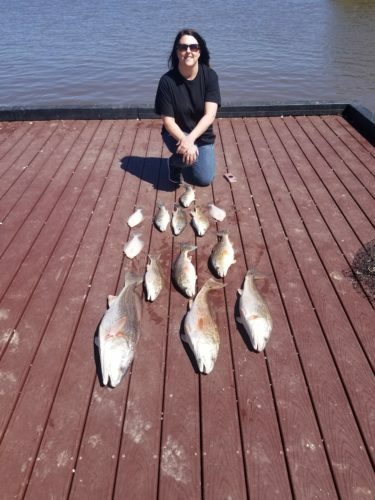 It was an absolutely beautiful day so we went out and filled our basket with a limit of Redfish. Olivia is now a Pro! 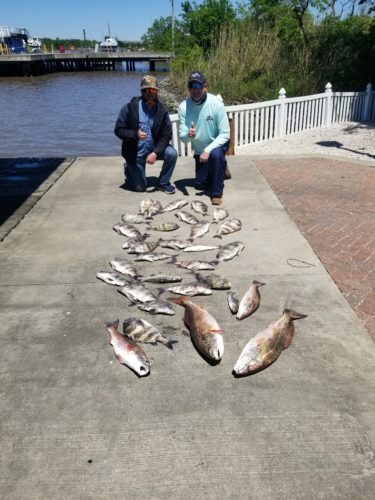 Captain Tom went out scouting today and caught his limit of Redfish and a herd of Sheepshead. 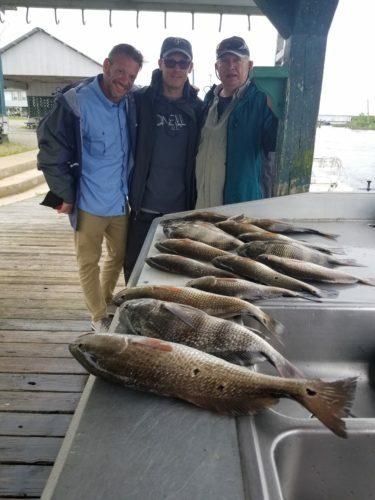 Rick, Kevin and Bobby said lets go after some Reds. 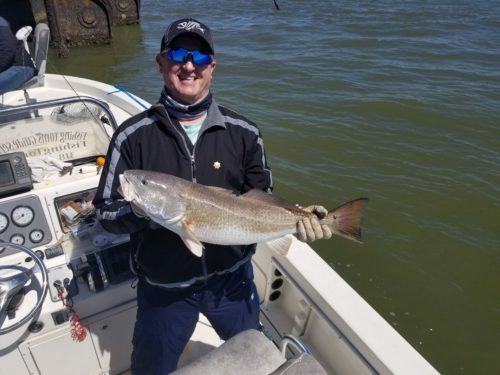 The speckled trout are starting to show up in numbers. It won’t be long before we start limiting out. 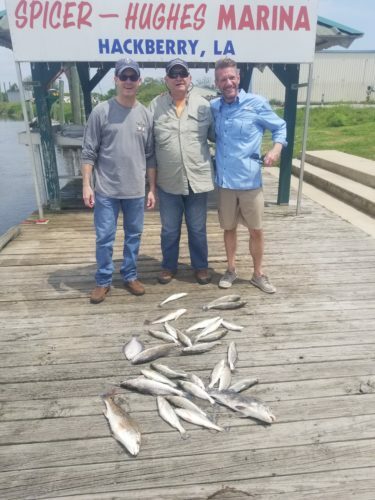 Kevin, Rick and Bobby got in on a little trout action.